Artificially dyed mulches have been shown to be safe when using around a house. The dyed mulches use iron oxide as the base chemical for the colorant. There are also some polymers added to assist with bonding and color fading. Further information can be provided about the colorants upon request. 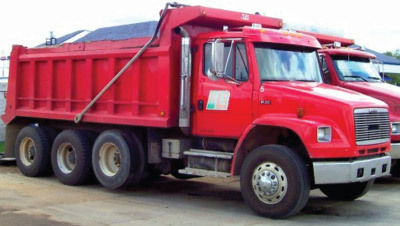 When dumped on the driveway, it may leave a stain so plan accordingly if you have a nice cement driveway. A tarp will help keep some of the colorant off the driveway but makes shoveling more difficult. Rain will make it bleed so move it before it rains. Dumping it in the grass will keep the drive clean but it's very difficult to get it all out of the lawn. 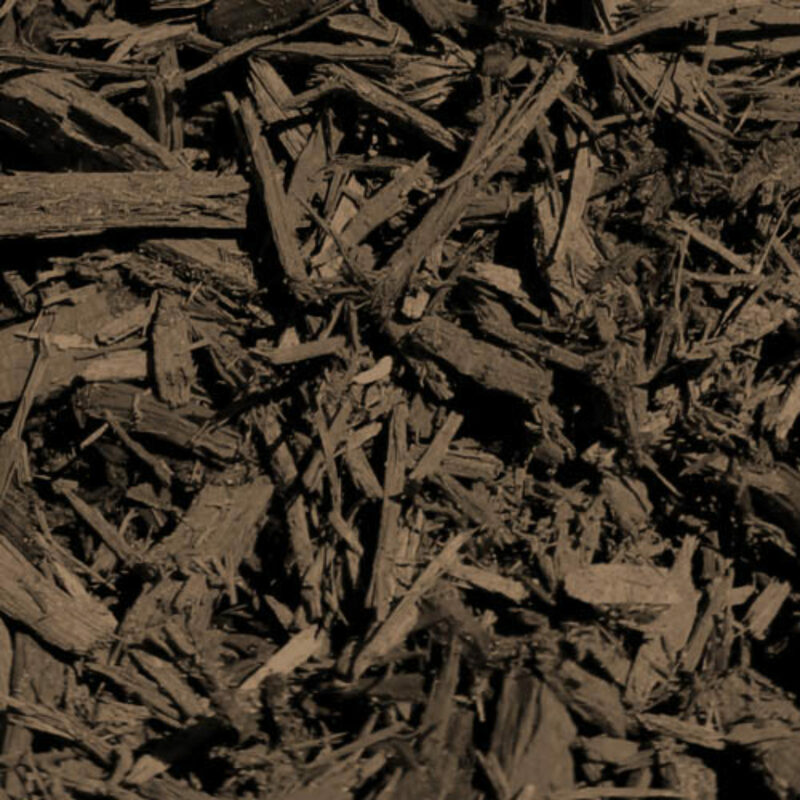 This rich brown mulch is composed of dyed brown wood particles which are mostly 1” to 2” long with finer material in between. It is made from either recycled wood such as old pallets or virgin wood. 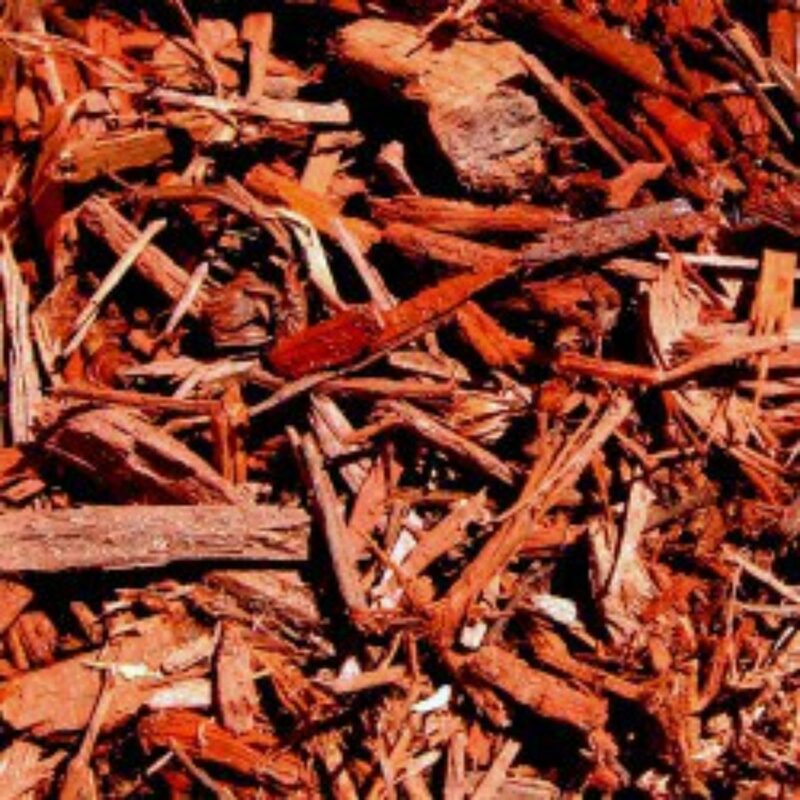 The brown mulch tends to hold its color fairly well for a season and because the brown is closer in color to the untreated mulch it is harder to tell it is faded as compared to the black and red colored mulches. Using brown colored mulch still maintains a natural look but also takes advantage of the long lasting color advantages of using color enhanced mulches. After a season you will notice a little bit of a salt and pepper look from the fading. This is a little more noticeable than the red colored mulch due to the big difference in original wood color versus the very dark color of the final product. From a visual standpoint this mulch can create an interesting contrasting color to the plants in the bed. This vibrant red mulch is composed of dyed bright red particles which are mostly 1” to 2” long with finer material in between. It is made from either recycled wood such as old pallets or virgin wood. It tends to hold its color fairly well for a season and will be mostly faded after two seasons. A fresh annual cover keeps it looking bright red. When it is dumped on the drive it may leave a red stain so plan accordingly. The bright red makes a strong design statement so make sure you like it. 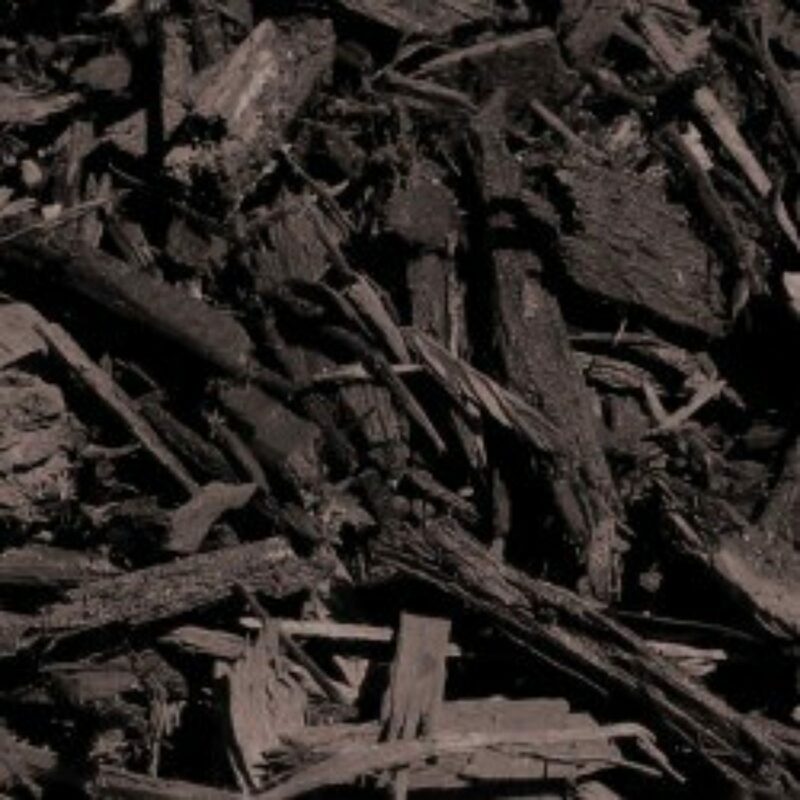 Our black mulch is composed of dyed black wood particles which are mostly 1” to 2” long with finer material in between. It is made from either recycled wood such as old pallets or virgin wood. This mulch is quickly becoming more popular in this area. It tends to hold its color pretty well for a season and will be mostly faded after two seasons. Like all colored mulches it can bleed some so plan accordingly when dumped on a cement driveway.